Jaitley said returns from the stock market are quite attracting and it was time to bring them under the ambit of capital gains tax. The government on Thursday introduced long-term capital gains tax of 10 per cent on stock market gains exceeding Rs 100,000, sending the markets tumbling. Presenting the Budget proposals for 2018-19, Finance Minister Arun Jaitley said returns from the stock market are quite attracting and it was time to bring them under the ambit of capital gains tax. "The return on investment in equity is already quite attractive even without tax exemption. There is therefore a strong case for bringing long-term capital gains from listed equities in the tax net," he said. However, observing that a vibrant equity market is essential for economic growth, Jaitley said, "I propose only a modest change in the present regime. I propose to tax such long-term capital gains exceeding Rs 1 lakh at the rate of 10 per cent without allowing the benefit of any indexation." He further said all gains up to January 31, 2018 from sale of equity will be grandfathered. Gains from sale of stocks after one year were exempt from capital gains tax. 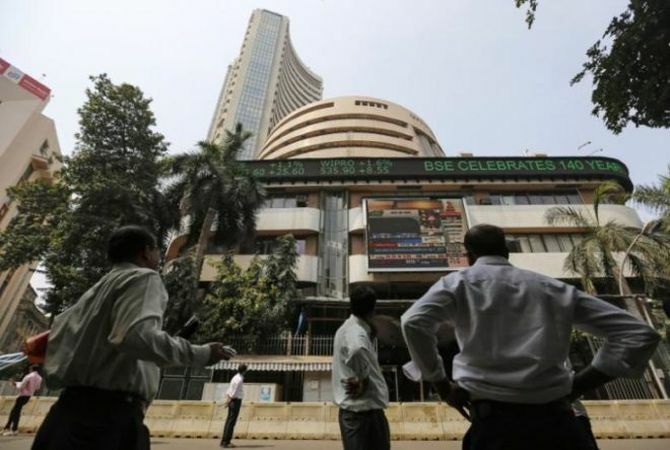 Following the announcement, the benchmark BSE Sensex plunged over 400 points but recovered later. VOTE: Are you happy with Budget 2018?